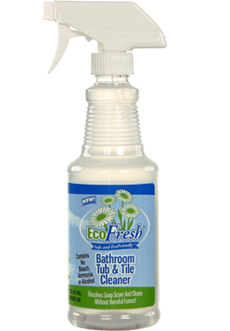 Our Bathroom Tub & Tile Cleaner cleans surfaces, dissolves soap scum, and leaves floors, chrome and tile sparkling shiny and clean. It even helps to reduce fog on mirrors. No harmful fumes or residues. It's the only bath cleaner you'll need!